Trust in our company for technicians who have the expertise to get the job done. We ensure that every project we work on is finished to your complete satisfaction. 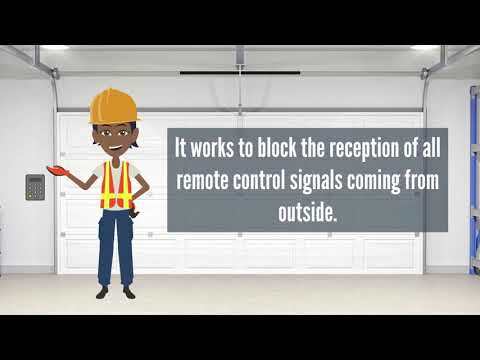 We’re quick to attend to your garage door problem, even when it isn’t an emergency. No job is considered done until your door’s safety features have been thoroughly tested. As the best garage door repair service in Woodinville, we’re always ready to help you. 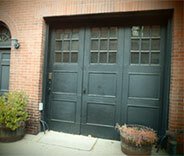 We take care of all types of garage door repairs and your safety and peace of mind are our top priorities. From panel replacements to same day urgent repairs, we've got you covered! There are two main types of garage door springs, and understanding the difference between them is crucial when you have to replace a faulty coil or choose a new one. We had our expert provide a short explanation of exactly how the two can differ. For help with any related issue, contact our professional team immediately. We take pride in offering all of our customers the best service for their garage door openers, no matter what make and model they may have. Find out more about our services here. When your garage door breaks down, you’ll wish you had performed regular maintenance checks to keep it in top condition. Call us to check, maintain and repair your door today. Having trouble with your driveway gate or any other gate on your property? Call now for our professional repair services. We can work on any design including swing gates, sliding designs and manual variants. Your garage door plays a vital role in keeping your home and your family safe and secure. It houses your vehicles along with your belongings and as such, needs to be reliable; opening and closing smoothly, as and when you need it to. Our experts at Garage Door Repair Woodinville are an experienced team of professionals who are able to come up with the best solution to all of your garage door problems. Summers in Woodinville are short and comfortable, while winters are wet and very cold. This type of weather can affect the condition of your garage door, so why not help to combat this wear and tear by arranging scheduled maintenance services? Partial lubrication can help to prevent components from becoming brittle and eventually snapping, while a system examination can highlight any potential problems. For anyone living between Kingsgate and Bothell, this service is a must-have. When your garage door malfunctions, it's time to call in the professionals, and when this happens, you will be looking for immediate action. Thankfully, you won’t have to wait long! Our team services a wide area from Kenmore to North Creek and will get your door up and running in no time at all. Whether you need emergency spring repairs, rollers, tracks, or even panels replaced, contact Garage Door Repair Woodinville. You will be amazed at just how different your property will look with a brand new garage door. After all, first impressions are vitally important, especially for anyone looking to sell. So why not make a statement with one of the premium doors from leading manufacturers including Clopay and Amarr? There are lots of different styles to choose from including wood, metal, modern, and traditional. 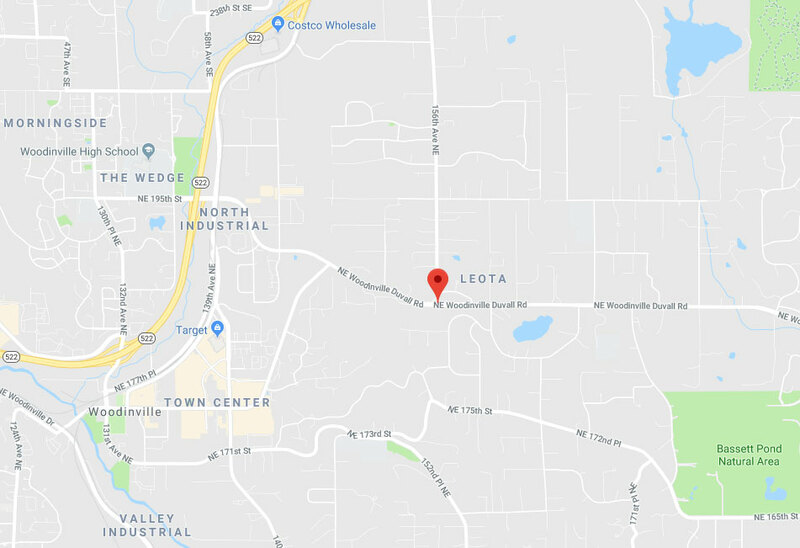 Our experienced team covers a wide area from Kirkland to Lake Forest Park and can carry out new installations, quickly and with the minimum of fuss and disruption. Are you looking for a replacement garage door for your home? Or do you simply need to maintain or repair an existing door and its components? For all jobs, big or small, look no further than your local Woodinville team. 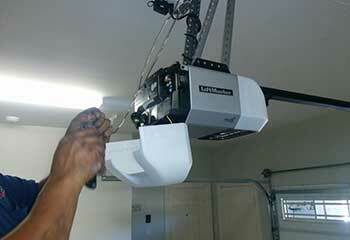 When you’re faced with the inconvenience of a broken garage door, trust our competent technicians to fix it. Our team is multi-skilled and able to deal with a variety of problems. We’re a responsive company that won’t keep you waiting, and we offer same day repairs. We adhere to manufacturer standards, using high quality replacement parts. Ready to book your repairs? Click below to schedule your appointment online now! 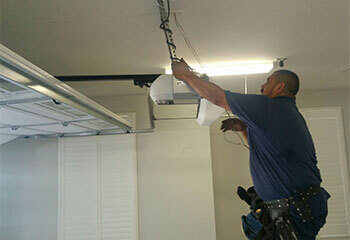 If you do not know where to get your garage door or opener fixed, then simply have a look at how latest projects page to see why we are the experts. 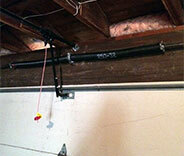 We were more than happy to assist this customer with the new opener he purchased by installing it! Learn more here. 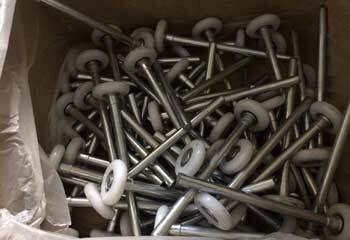 This customer's rollers had become too rusted and worn to function, so we replaced them. Click here for more! In a moment of distraction, our customer backed into her garage door. Find out how we helped with a much-needed repair. 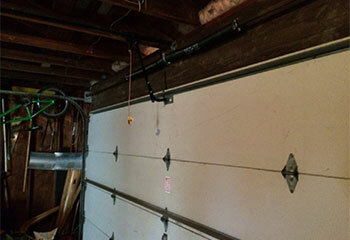 Read on to see how we set up our customer with the latest garage door opener technology. Don’t hesitate to contact us for your upgrades too! 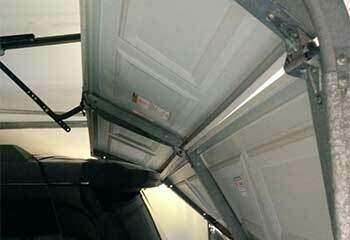 If your garage door is your main entrance into your home, it can be especially inconvenient when it breaks. Find out how our emergency services help in this situation. I hired your company for general maintenance service and have no regrets about it! Your technician was professional in everything he did, from the thorough inspection to the minor repairs and safety tests. I’m so glad I called your company when my torsion spring snapped. Your technician responded rapidly and had the new springs installed in record time! I had a great experience with your garage door company. Your technicians showed up on time for the appointment, had all the equipment they needed and got right to work.